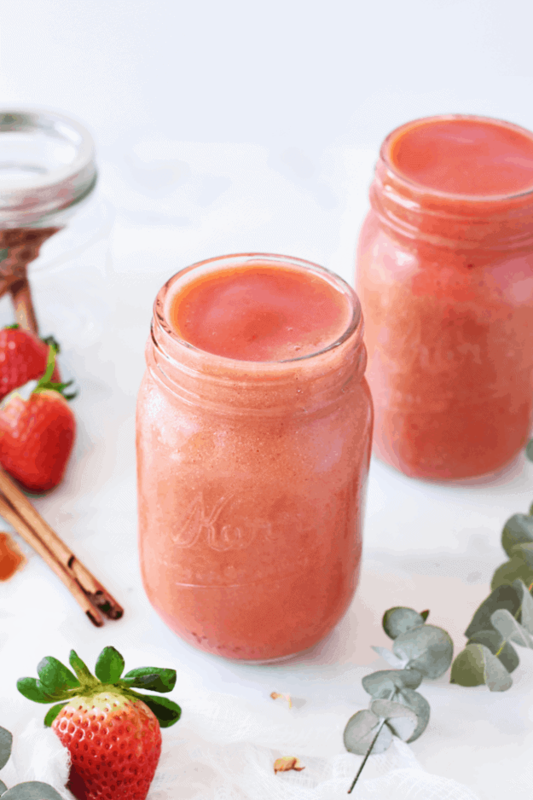 Say hello to this metabolism-boosting strawberry mango smoothie, and say goodbye to feeling yucky! 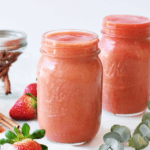 What are the special ingredients in this metabolism-boosting strawberry mango smoothie ? Cayenne pepper. Numerous studies show that cayenne pepper revs up your metabolism, thanks to a compound called capsaicin. It helps to break down fatty acids in your fatty tissues, liver, and muscles. Also, it speeds up tissue heat production, which causes a loss of tissue fat. I know what you’re thinking now: Bring on the cayenne and let’s feel the burn! Both of them! Cinnamon. Not only does this beautiful ground spice bring exceptional flavor to food and drinks, but it helps regulate your blood sugars. 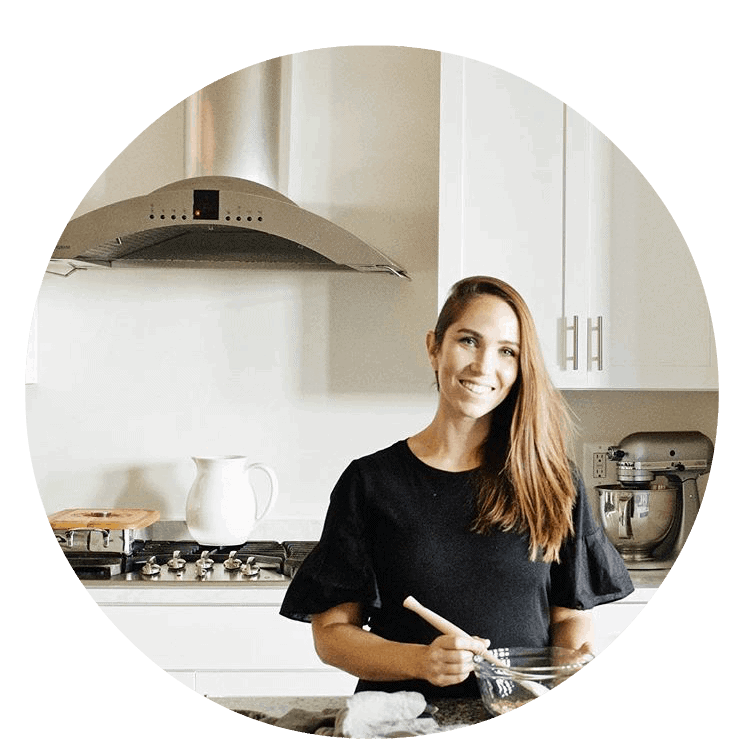 This is important because blood sugar (glucose) levels can affect how hungry and energetic we feel. Glucose also determines whether we store or burn fat. And let’s not forget the antioxidants cinnamon contains. Sounds like a good idea to add a pinch to all of our smoothies from now on, right? Mangooooo (say that in your best Oprah voice)! It’s full of boat loads of antioxidants that in turn boost your metabolism because they are full of nutrients, which help your body work more efficiently. 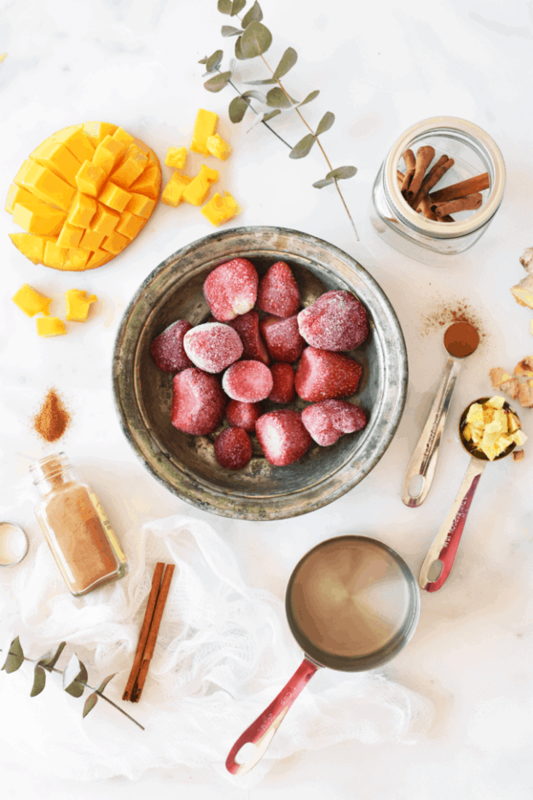 Okay, so now that you’re jazzed about making this smoothie, you might still be intimidated on how to cut a mango. Peel skin from mango using a peeler. Hold mango upright. Identify the where the longest side of the mango is, which is where the pit is. Use a large chef’s knife to cut on each side of the pit. You will be left with two halves. Cut vertically, then horizontally, making small cubes. BOOM. You’re done! See, that wasn’t so bad! In case you’re still confused, here’s a great video tutorial. Now grab the recipe below, and enjoy! 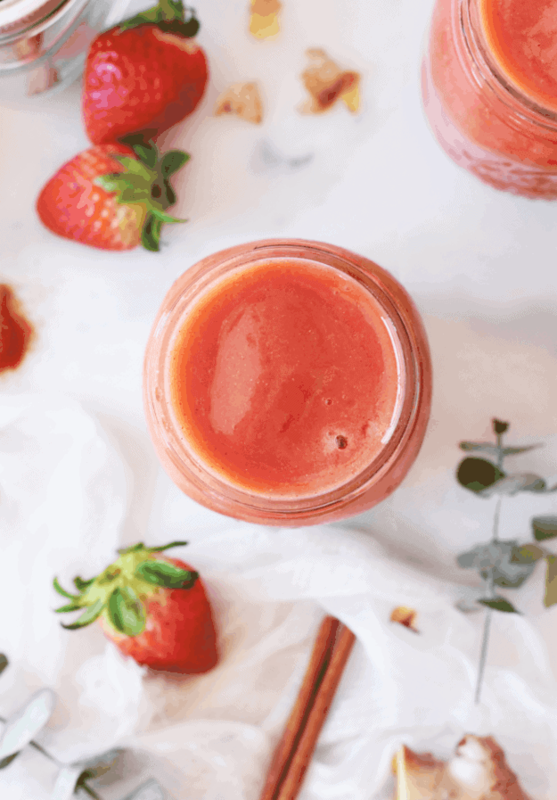 Pour coconut water, frozen strawberries, mango, ginger, cinnamon and cayenne in a blender. Blend on high speed for 1 minute until smooth. Hi, do you know the nutritional value per serving? By the way, I tried this smoothie and it’s AMAZING! I did 1 cup coconut water and 1 cup coconut milk. Isn’t it awesome?! I don’t have the nutrition facts for this, but I am working on upgrading my recipe cards so they show the nutritional value! Ingedients not showing nor instructions. Hint? Hi Linda. Thanks for this comment! I am seeing them on my end? Can you try refreshing the page? Let me know if it’s still not showing up for you after that.